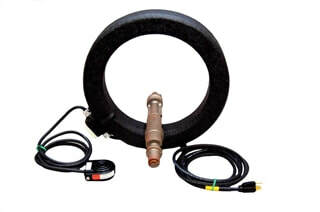 These handy portable magnetic coils are great for field applications to magnetize a variety of part sizes and shapes for magnetic particle inspection. Use with any Magnaflux electromagnetic current generators for quick, easy part processing. 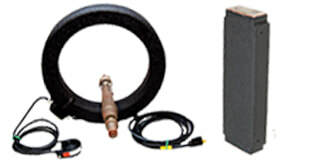 Portable AC coil for detecting surface cracks. Flexible, 4/0 cable split coil with either end connectors. For non-contact magnetic particle inspection of small parts such as fasteners and ring-like parts. Can be used with any magnetic particle unit or power pack to allow for quick, easy processing of several small parts at one time.